Kyuki-Do Martial Arts of Lake in the Hills is run by masters Rick and Christine Bjorkquist. Rick and Christine both have decades of experience studying and teaching martial arts. They love the martial arts and their mission is now to share and spread their knowledge with the next generation of kids and the community as a whole. 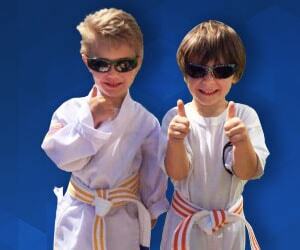 Kyuki-Do Martial Arts of Lake in the Hills offers martial arts programs for kids of all ages. 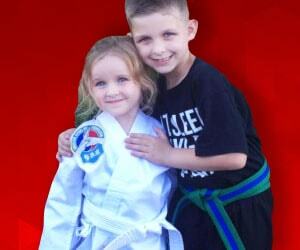 Their toddler and preschool martial arts programs are perfect for kids as young as 2 years old. We invite you to choose a program that most interests you. Take advantage of one our amazing web specials by signing up right here on our site, or feel free to give us a call at (224) 209-8991 if you have any further questions. We look forward to speaking with you soon! 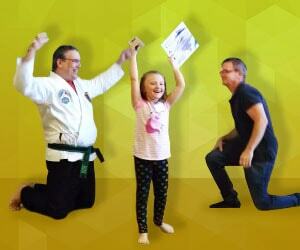 Master Rick Bjorkquist has been training in the Martial Arts since the age of 14. He has been training for 30 years and has been teaching for over 20. Rick earned his 6th Dan Masters rank in Kyuki-do Martial Arts in 2016. Master Christine Bjorkquist has been training in the Martial Arts since the age of 19. She has been training for over 25 years and teaching for 9. Christine is a retired McHenry County Sheriff’s Deputy and earned her 5th Dan Masters rank in 2014. “Respectful”. “Confident”. “Focused”. These are just a few of the words that parents are using to describe their young kids after joining our Pre-K Martial Arts program. Classes are fun AND educational. Our Lake in the Hills kids martial arts classes do more than teach self defense. Children learn discipline, self-awareness, respect, coordination, goal setting, and much more! Ask about our web specials. “Best Birthday Party Ever!” That’s our goal and your child will be thrilled. Our birthday party packages include a ton of fun, board breaking, and so much more! Call today more info.